The Elizabeth Glaser Pediatric AIDS Foundation (EGPAF), a nonprofit launched in 1988 to raise money and advocate for pediatric HIV research, commemorated its 30th anniversary with an event in Washington, DC, on Capitol Hill, on June 12. 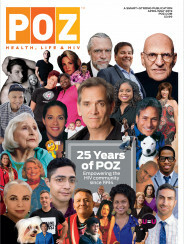 The event was held to celebrate “the leaders, friends and partnerships of the past 30 years that have been indispensable to the progress toward ending AIDS in children,” according to the invitation. Other longtime supporters who were unable to attend were senator Orrin Hatch (R–Utah) and representative Barbara Lee (D–Calif.). “Our purpose for gathering here today is to celebrate EGPAF turning 30 and to recognize and applaud the tireless efforts of those who have helped us continue Elizabeth’s legacy,” said Lyons. Elizabeth Glaser, the wife of Paul Michael Glaser of Starsky & Hutch, contracted HIV via a blood transfusion she received during childbirth in 1981. She unknowingly transmitted the virus to her children, Ariel and Jake. Ariel died of AIDS-related illness in 1988. The same year, according to the EGPAF website, Glaser and fellow mothers Susie Zeegen and Susan DeLaurentis launched the Pediatric AIDS Foundation, later re-named to honor Glaser’s memory. According to EGPAF’s website, the foundation has helped to achieve a 90 percent decline in new HIV infections in children in the United States as well as a 70 percent decline worldwide. Through programs in areas such as prevention of mother-to-child transmission, pediatric and adolescent care, treatment and diagnosis, and adult care for HIV, EGPAF has averted 301,969 HIV infections and has saved 86,940 lives with antiretroviral treatment. According to EGPAF’s data dashboard, the organization and its affiliates have reached over 27 million women with HIV transmission prevention services globally. 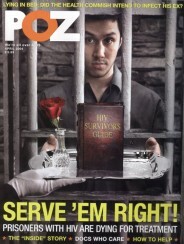 To read a 2017 POZ feature story highlighting Jake Glaser and other advocates born with HIV, click here.